THURSDAY, March 27, 2014 (HealthDay News) -- New research suggests people with lower levels of vitamin D are more likely to suffer from coronary artery disease and to have more severe forms of the illness. While the findings aren't definitive, they add to recent research that indicates vitamin D -- the so-called sunshine vitamin -- may play a role in preventing heart disease. The results "suggest vitamin D deficiency to be the cause rather than the consequence of atherosclerosis," said study investigator Dr. Monica Verdoia, a cardiologist at Eastern Piedmont University in Novara, Italy. Clogged arteries, or atherosclerosis, can lead to heart attack. While the study showed an association between vitamin D levels and heart disease risk, it did not prove a cause-and-effect link. The findings are scheduled for presentation Sunday at the American College of Cardiology's annual meeting in Washington, D.C. Researchers who examined nearly 1,500 patients found that 70 percent of those undergoing angiography, a test used to detect blockages in the arteries, had deficient levels of vitamin D.
Patients with levels low enough to be considered deficient had a 32 percent greater risk of coronary artery disease and an almost 20 percent greater risk of the most severe level of disease, the researchers said in a college news release. Also, those with the lowest levels of vitamin D were almost twice as likely to suffer from clogged arteries compared to those with normal levels. More than half of U.S. adults, especially blacks and Hispanics, get too little vitamin D, according to the news release. Vitamin D is absorbed through the skin from sunlight. It is also found in fatty fish, fortified dairy products and supplements. Verdoia recommended a diet rich in vitamin D and moderate exercise outdoors for people with and without cardiovascular disease. 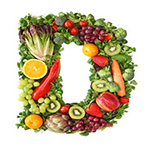 "Although evidence of benefits with vitamin D supplementation in cardiovascular outcomes are still lacking, strategies to raise [natural] vitamin D should probably be advised in the prevention of cardiovascular disease," she said in the news release. Data and conclusions presented at meetings are typically considered preliminary until published in a peer-reviewed medical journal.